Financial industry has been disrupted with the arrival of Cytocurrenty. Digital disruption and technological breakthroughs are upending industries and market places around the world. It is no longer the case that one can ignore or refute the transformation power of the digital world on business or strategy. A revolutionary new mobile application called 10 MOM is set to be the one-stop-centre for all antenatal and postnatal activities and information that aims benefit future parents or family planners, as well as the surrounding community that deals with pregnancy care services. Johor Women Development and Tourism Committee Chairman, YB Liow Cai Tung is present to grace and officiate the launching of the app. She is also accompanied by Vice President of Malaysia International Chamber of Commerce and Industry (MICCI) Southern Region, Christina Tee to witness two MoU signings between 10 MOM Sdn Bhd (10 MOM) and Southern University College (Southern UC), Wisdom Synergy Management Centre Sdn Bhd (a subsidiary of 10 MOM) and Training Qualification United Kingdom (TQUK). 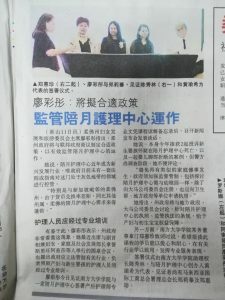 The MoUs are to mark the partnership in providing proper education to the public who are interested in learning the ways of postnatal care through the Professional Diploma in Postnatal Care Program offered at the Southern Institute of Technical Education (SITE) Southern UC backed up by certification from TQUK. “The expecting parents will not only have less of a headache, but they will also feel safe and secure knowing that all the services provided in the app are legitimate. Just like how a married woman would seek advice from her mother, aunty, or grandmother, 10 MOM acts as the “mother” app to those who don’t have such support groups. 10 MOM is not just an information and services platform, it is also a medium for education,” added Fiona Wong, Founder of 10 MOM. Besides getting ideal confinement services with competitive prices, parents are rest assured that all confinement ladies, agents, and centres that 10 MOMcollaborates with are certified with proper training on general confinement knowledge and methods. The traditional methods may vary according to race and religion of the expecting parents. For now, 10 MOM plans to offer different confinement services based on the different traditional methods with proper methodology that everyone can follow in the future. The mobile app also acts as a platform which provides job opportunities to locals as well as foreigners, who graduate from the relevant courses offered at Southern UC. Freelancers are welcomed to join 10 MOM to increase the chances of them to share their services to the growing market. 10 MOM also promotes the ongoing breastfeeding campaign which encourages mothers to feed their newborn child with natural breast milk, instead of powdered formula milk. This campaign was initiated and spearheaded by the Health Ministry throughout the nation. For more information about 10 MOM, please visit their website at https://10mom.com.my or “like” their Facebook page at https://www.facebook.com/10mom.com.my/.